SPOTIO is a sales automation and integrated performance management solution for field sales teams to improve productivity, increase revenue, and shorten sales cycles. "SPOTIO has increased my sales 30%! " Being able to track every home that I went to with details. I keep track of names, time in home, and date to follow up with ease. I really love using the colored spots to track interest as well so I can manage my time easily and maximize my sales. There is not much that I don’t like about SPOTIO but at times I would like to search by name and bring up the spot. Do it, great product and great customer service. I am maximizing my time and realizing the benefits of going back to area which I had already knocked before without trying to remember if I was there already. "Online solution for studies and resources in the sales area." Spotio is an ideal tool for the acquisition of data from field studies, I am very pleased with this publication, the interaction it has with our representatives in the different points where they are located, sending us constant information to the area of studies, about the performance and the potential of engagement of our representatives, also thanks to their scheduled tasks can schedule all kinds of meetings and future studies, where they can attract new people who are prospects of customers, another point in favor of this application is the interaction with different tools of market, which are used by many companies and people, which makes it very adaptable to different work environments. Spotio does not have a mobile application, which in these times is essential, the web version, I do not like much, it is not completely complete, unlike the application for windows or mac, and not to mention that web version, in mobile devices, it is quite difficult to use, you are always required to have a desktop computer, to be able to use this tool, it is necessary to create a mobile application, with all the features offered by this system, in the application executed in windows or mac, or at least, a functional application, to develop certain types of jobs, when you are out of the office. Thanks to this tool we can develop different studies of the high retention, market, creating a complete follow-up of our staff in the field, and determine where studies have been developed with greater retention and acquisition, the detailed location provided by this application, helps us firmly, to develop strategies of shock, in certain strategic points of the city. "Wouldn’t Use Anything but SPOTIO"
The app is extremely intuitive and perfect for visiting homes or businesses on the go. It’s considerably less “bulky” compared to some of the CRM apps used in the past, but still has all the functionality you’d ever need. Entering information and updating pins is extremely quick and easy. I love that I can see the location of my sales reps when they input data. We were able to customize the app to perfectly match our sales process which made for a seamless transition. Couldn’t be happier with our decision to switch to SPOTIO. There’s really not much to dislike, but if I had to make a couple minor tweaks, I’d say searching by address and being able to draw geographic regions on the app vs straight lines would be the only couple minor adjustments. These are very basic work-arounds for us that truly don’t have an impact on how we operate. There’s nothing we’d say we dislike though. Territory mapping, tracking activity-based metrics, running reports, measuring sales and revenue figures, and a lot more. One of the greatest benefits we’ve realized is how to more efficiently and effectively work the customer referrals we receive. What Field Sales solution do you use? "Works well enough however needs some tweaking"
Being able to change the view of the map as well as being able to get directions straight through the app. I also like being able to change the colours and descriptions of my pins. I love having the chat and leaderboard. The leaderboard is a huge motivator for people. Seeing when others are getting sales motivates me to get more as well. When there is a slower network, the house numbers get mixed up. Instead of showing the house I am in front of, it shows a way different address. It also seems to freeze sometimes and only after shutting it down multiple times, will it work again. Another thing is that when there is an address marked as 'lead', even if i go in to change the notes, it populates as a new lead, even though it is not one. Sometimes the pins also dont land on the exact house which is kind of annoying. Play around with it and make sure you set it up to how you want it. Keeping track of my sales no matter how many. Being able to filter dates is hugely beneficial as well as having a spot for notes, although it would be better if when the notes were edited, the pin would not update. Also being able to see if workers are still actually working by logging their knocks and their leads. You can always tell when someone stopped working a while ago. Plus you can also track where they currently are in the field. "Great app for door knocking!" I love the ability to walkthrough a neighborhood, click on a pin, see information about the homeowner, talk with them at the door, and then be able to quickly update that information as I'm walking to the next door. When you work in areas with poor cell reception, using the microphone function on my phone to enter notes doesn't work very well. It also takes a long time to filter the results with a poor cell signal. Spotio tends to run down the battery on my phone. And although I don't need it very often, I would like the ability to speak with someone on the phone as opposed to having to use chat for any support issues. It's so much easier. Consider whether you need phone support or not. As a single user, you will have to use chat for all your support needs. Spotio helps keep me organized! That's huge. Knowing who to concentrate on has been a huge time saver. I'm able to know who I need to better stay in touch with. "The best tool for door to door sales! It's spot on!!" The company, it's founder and team stand behind a product of top notch benefit to any business out there. I've used their program for a number of years and couldn't be any happier. I've tried other programs, apps and procedures... This by far is the best. In all honesty, there is nothing that I've come across to be disappointed in. I'm doing business to business cold calling and warm leads. I'm using Spotio to track every appointment, next steps and a boat load of information I obtain from the meeting. The benefits are plain and simple, I've been able to close more sales with this program. "Wonderful Tool for Nationwide Brands"
Storm Guard Roofing and Construction really appreciates the convenience of being able to tie together a national brand and have many levels of operational visibility. The usability and functionality to even novice users is incredibly powerful. We believe there could be a touch more functionality with drawing geography boundaries, but the current offering still works for us. The filing system could also be improved through a folder system for organization. Do it! This is a great opportunity to really tie people together and have a common sales platform for multiple users, at multiple levels. We have not been sorry! Storm Guard Roofing and Construction really leverages the Spotio tool to make goals and have a visual - along with a ticking numeric tally - to realize those goals!
" easy to use app that allows you to keep track locations"
I really liked how spotio used a realistic map. How your able to see the leaderboard, get a hold of messages. I can say that my favorite most top feature of the app was the appointment Tap. The appointment tap allowed me to set appointments on a calendar and they where very easy to access. "We use Spotio far beyond a door knocker tool, it works for us as a CRM"
The software is easy to learn and very versatile. Customer service is top notch and has been tremendously helpful with situations where we are exercising Spotio outside it's design. Haven't found any show stoppers yet and we've been using it for two years. For a straightforward easy yo use, easy to understand sales tool for both management and the field, Spotio is extremely versatile and robust. With a little twist here and there, Spotio has certainly worked for us. Tracking the activity of the sales people with company generated leads is easy. When I reach out for assistance there is always a representative available to help me with my troubleshooting. Furthermore, Leilani was exceptional in helping me find solutions. I could tell she genuinely wanted to be thorough in making sure the customer had their needs met. Can't say there is much to dislike. regarding the app, it is a life saver for what I do. Targeting residential homes that need renovation work done to the home due to past storms that have caused damage to the property. When I canvas new territories the App helps me keep track of making sure I don't knock on a door twice that's is not interested. Also, it helps me collect data so that if I would like cold call I can pin point which homes actually need our services. I like the ability ability to create my contacts also be able to pull over my contacts. I'd like to be able to have access to directions. I also liked to be able to keep track of my calendar. In some areas of my locations spotty L was spotty. Sometimes the location would not keep up with my actual location. I also had some issues loading it. "Exactly what any door2door salesmen would need"
Intuitive, quick, and highly customizable. This app has increased my productivity 10 fold. I really couldn't do my job (roofing/storm damage sales) without it. The map aspect of it is exactly what I needed. On rare occasions, a lack of reception will cause issues with pins saving. Remembering what I have spoken to people about. Remembering which houses I have made contact with. Pinpointing locations I have seen that I should go back to. I like the ability to capture data easily and not be shuffling notes around while walking a neighborhood. It helps me present a more professional image. Sometimes I door knock without the ap and want to go in to Spotio and input a few days later. I would like to be able to input the date of the door knock instead of the date I am inputting. A great tool for prospecting! It allows me to keep accurate records, capture leads and be able to isolate the leads and remember names and data when I go back to the house at a later date. Trying to capture on paper was very confusing. "Spotio, making sense of my canvassers actions"
All of the features I disliked have been imp[roved or fixed since my using the software began. They are VERY responsive! Increased sales and the ability to manage canvassers from the office! "GIves organization to the unorganized "
Spotio allows me to not only keep track of my movements over weeks, months & years, but also gives me a to-hand reference tool to find a customer's name, or their current technology in order to build a strategy. I would prefer a less cumbersome password reset & dropout rate. It seems you need at least half-bar on your mobile device to keep the app running. Spotio saves me from writing reams of illegible notes, allows me to access customer details on any device with a connection at a moment's notice, & allows me to be one step ahead of the competition! 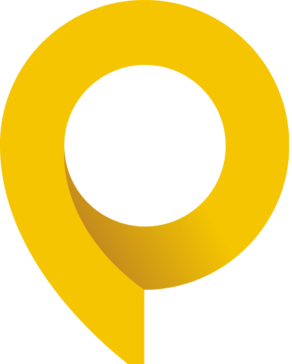 "direct sales in residential door to door for Allo Communications "
I would like to be able to see the gps system more accurate not have all the addresses in the middle of the road or all on one street.more updates in re market areas. keep in information longer and to be able to change it after so long. most of the time "time"
saves time when you can voice messages. Creating reports is difficult. When looking at lists of pins, scrolling becomes an issue. Wish that part, reports, was more point and click. Just do it! It's a must if you are serious about canvassing. Efficiency is a must with a team of salespeople. To be able to assign, monitor and manage a team at a click of a few buttons is a must if you are serious about canvassing. We can track sales persons’ hours as well as see where to work, not work and even when to work. "I use this app 6 days a week it is detrimental to me in the field "
"SPOTIO Performance Steve Hadley "
It seems to be bugged sometimes. There are days it doesn't work at all, and I have to reinstall the app completely. I like the notes section. It allows me to organize my leads. I don know what I dislikr. I just someimes it logs me ou but thats it. THIS APP IS VERY EASY TO NAVIGATE AND IS VERY USER FRIENDLY, LOADING THE DATA INTO SPOTIO IS ALSO VERY EASY AND USER FRIENDLY, I LIKE THAT THE USER INTERFACE IS CLEAN AND EASILY UNDERSTOOD. I like the idea that I can pin my contacts as I visit them and see where I've been at the time of contact. Integration. Merging pins is impossible, you can't see if places you go have been called on by other agents within the same org. No scheduling follow-ups or reminders in system. Fully relies on Google for any calendar work to set reminders. Before beginning to use this product, please evaluate how well it integrates with your other operational software. Spotio is easy to use and provides great data to maximize the field performance of our teams. They were extremely helpful in our launch, listening to our needs and creating solutions that work! The biggest challenge we have had with onboarding has been connectivity, which is not related to Spotio. We are able to use the data to identify, coach, and motivate our field marketing teams. The ability to capture vital marketing and client data in the moment is phenomenal! "Great idea but has some issues"
Keeping everything organized and love the fact everything I do is tracked. Glitchy a lot. When I’m in the field sonmetines the load times are aweful. "Great for B2B, needs improvement"
The fact that we are allowed to put different KPIs is awesome! "GPS for Door Knocking "
Tracking your door knocking leeds with GPS. I helps you organize your door knocking leads. I'm a terrible note-taker. Spotio allows me to keep track of vital customer information, whether I visit them next week or next year. I would like Spotio to develop more connectivity...the worst thing is to be halfway through an entry, only to have to log back in. Its so nice to be able to greet a potential customer using their first name, even if your last visit was months ago...shows the personal touch. "Great App lets you put info in on the go quickly"
"Very user friendly and support is always ready to help"
Having the data on all of the territories helps us know where we are most successful. Being able to create custome statuses and incorporate a pipeline within the app. The app will lag some times and become spotty. I believe there are some recounting when going through data. Tracking prospects and leads through meeting them and knowing their location. Having the data readily helps know where we are most successful. The UX/UI design is clear and easy to navigate. "Great for door to door canvassers.! " I love the capability of tapping to drop a pin and set a status for the home of the door I knocked. I haven’t used it for a long time, but being able to organize the weekly reports could be more user friendly. Helps keep door knockers with their numbers as well as helps them with follow ups. "Use it all the time for personal and team evaluation "
"8 Months In On A Great Start"
Ease of use and ease of monitoring sales rep performance in real time. I would like to see the dashboard customizable, allowing companies to use their colors and branding. I know where my reps are and when they are there. My reps can see their territories and have the ability to better work their territories. "Spotio as a business marketing tool"
Business problems solving- gathering data and custom feedback in real time. Benefits- true verification of door to door business interaction. Very easy to use and keeps track where the rest of the team has been. Keeping track of all the addresses we have been to. Pin colors can be changed to represent various stages of the process. Scheduling feature is limited. App burns up battery life very quickly. Often times exact address is off in SPOTIO. Roof sales tracking. Track progress, times and events. "Keep track of interactions and leads, easily." I like that it stores documents, categorizes lead data, tracks geolocation, and provides storage for contact information for customers. The only thing I could say that I dislike is that if reception is a bit spotty, pins will disappear from view. The only problems I've had with spotio are from poor reception areas, and pins not showing up, thus resulting in double or triple pins on the same location. SPOTIO allows separate chats so that everyone can communicate formally and informally. There is really nothing that I dislike about SPOTIO. "It's an awesome app to use"
Nothing! The application is definitely headed in the right direction! Keeping track of my leads! "SPOTIO review for Jaleesa Hudson"
Occasional bug that makes the zoom feature on the map mess up. "Best way to keep up with leads and follow ups"
* We monitor all Spotio reviews to prevent fraudulent reviews and keep review quality high. We do not post reviews by company employees or direct competitors. Validated reviews require the user to submit a screenshot of the product containing their user ID, in order to verify a user is an actual user of the product. Hi there! Are you looking to implement a solution like Spotio?